What to do when sexually assaulted? Hello all. We hope everyone out there is doing well. We here at SASS have been extremely busy these past few months. From teaching the Safe Dates curriculum in one of our local high schools, to conducting protocol training’s for Grant, Luna and Hidalgo county. We are working hard to make the bridge with our surrounding counties even stronger as we move into the future. 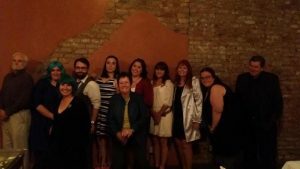 From our Zeal for Teal annual fundraiser Dinner in November to all our activities in April for Sexual Assault Awareness Month we are always looking at new and different ways to reach individuals in the community. Whether we are conducting training’s or holding a raffle at the Annual Blues Festival we strive to reach out to as many people as possible. We here at SASS are always on the road to knowledge as well. Miss Julia Talavera who is the newest member of the SASS team and serves as our Executive Director, often attends training’s and meetings to keep this organization informed and in the loop of all going on. Julia recently obtained a prevention grant for SASS under which Luzelena Carbajal, our Education/Outreach Coordinator, was able to implement the Safe Dates curriculum at one of our local High schools this past school year. Luzelena also attended a National Sexual Assault Conference in June in Dallas Texas in June 2017. We have the amazing opportunity to present our information on services to the Silver City Woman’s Club on July 14th. We hope to gain some volunteers out of this presentation. 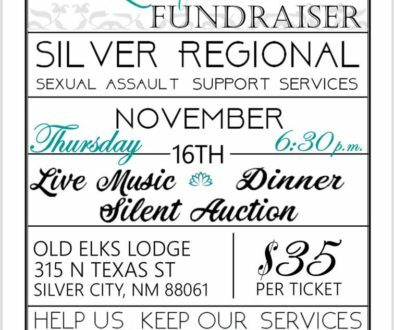 SASS has many upcoming events like participating in PRIDE day in September and attending all events for Domestic Violence Awareness month in October hosted by El Refugio. 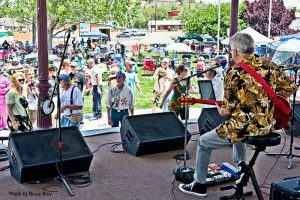 This years Silver City Blues Festival was another great success. This is the 2nd year in which SASS has participated in this event. Last year we offered face painting for the youth of Silver City. This year we collected donations from local businesses around the community and held a raffle. This assisted us to reach out to over 250 individuals within 2 days. Spreading the word of our services to people all over Grant County as well as those visiting from others states. Participating in this annual event is a great way to get the word out there and to let people know we’re here to help! We will most definitely be participating in next year’s Blues Festival. If anyone can make it down remember to stop by the SASS both and say Hello! 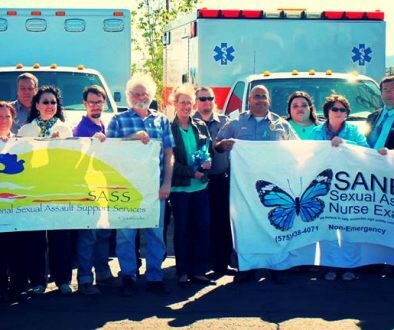 SANE: SANE (Sexual Assault Nurse Examiners) services have been going extremely well. We currently have 3 SANE nurses staffed. Two of which are certified to conduct pediatric exams. Our SANE services are housed at La Clinica here in Silver City NM at 3201 N Ridge Loop Dr. The team lead for our SANE program is Shauna McCosh C.N.M.